for small water treatment applications. Simple, Efficient, Reliable. Azure Ozone Generators Southern Africa have been designed for continuous operation in domestic and light commercial applications with minimal maintenance. All components are of high quality and chosen for their durability and resistance to ozone. 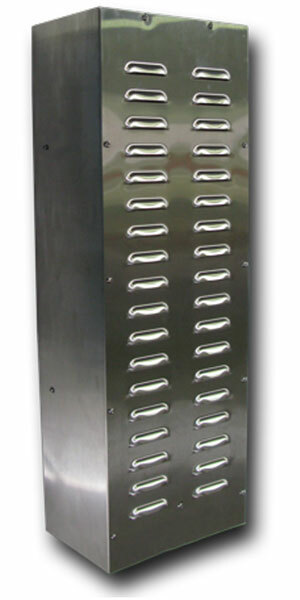 The stainless steel housing features a cover that allows the unit to be mounted outdoors in moderately sheltered environments (away from direct sunlight/rainfall). The air you breathe at sea level. Output decreases with altitude. Air from an air dryer with -40 degrees C dew point. Oxygen from a cylinder or oxygen concentrator such as the Wassertec OX-5. Azure Ozone Generator combined with the Wassertec OX5 Oxygen Generator and a small oil-less compressor. 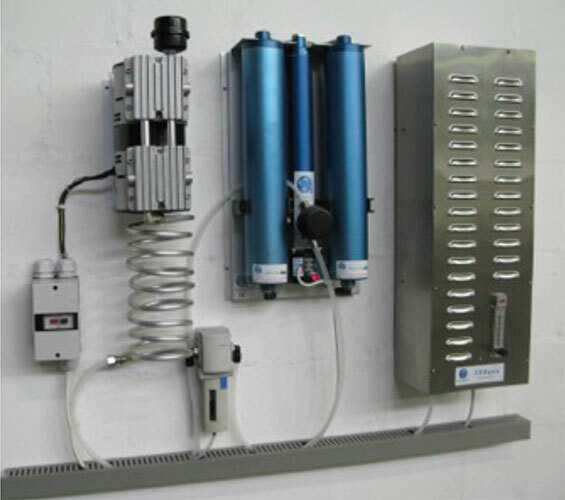 or as part of a system which offers a complete water disinfection solution. The system is typically installed as shown in the diagram above. 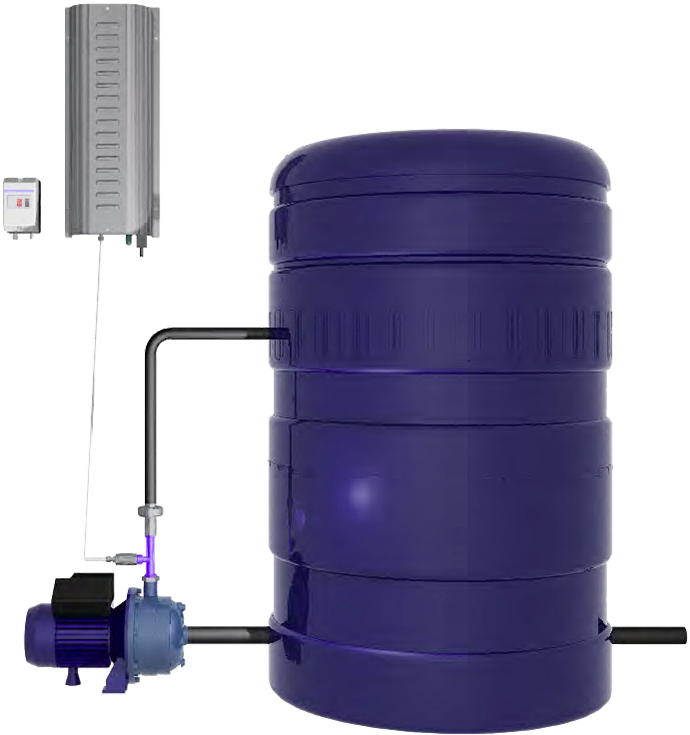 Water to be treated is stored in a tank (up to 10,000 litres)8 . The pump circulates water in the tank through the venturi. In doing so the venturi creates a vacuum which draws ozone into the water. Ozone disinfects and decontaminates the water. The treated water can then be pumped to its point of use, preferably via a filter.